The SPRINT Challenge entries are now in and we welcome you to read the findings and cast your vote until February 28, 2017. The winners will be announced on/about March 1, 2017. Thank you for taking part in “SPRINT Data Analysis Challenge” (the “Challenge”). By participating in the Challenge, you are agreeing to these Official Rules, so please take a few minutes to read them over. If you do not agree with these Official Rules, please do not enter this Challenge. There are two parties entering into this agreement, you and us. In this agreement, the first-person plural pronouns “We”, “Us”, “Our”, “Ours”, etc. refer to the Massachusetts Medical Society, the sponsor of this Challenge and owner and publisher of the New England Journal of Medicine (“Sponsor”). Similarly, the second-person pronouns “You”, “Your”, “Yours”, etc. refer to you. Phrases such as “we both”, “both of us” or “both parties” refer to both you and us collectively. 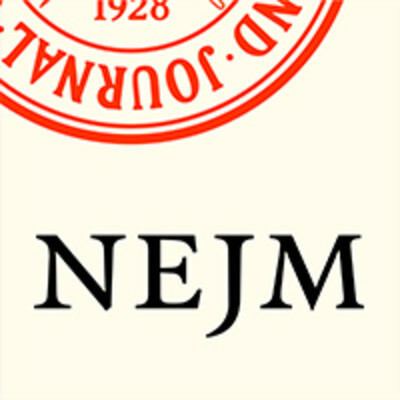 The term “Challenge Website” refers to challenge.nejm.org. The term “Submission” or “Entry” refers to information you submit to the Challenge via the Challenge Website. The term “Submitter” refers to single individuals who submit an Entry to the Challenge via the Challenge Website on behalf of themselves or a team. The term “Judge” refers to the individuals who are listed on the “Judges” tab of the Challenge Website. (The "Judges" tab will be available on or before November 1, 2017).Judges may offer comments and feedback to Submitters. The opinions of the Judges are their own and we are not responsible for anything that Judges post on the Challenge Website. The term “SPRINT Data” refers to the data underlying the primary outcome paper of the Systolic Blood Pressure Intervention Trial published in the November 26, 2015 print issue of the New England Journal of Medicine (N Engl J Med 2015; 373: 2103-2116). The Challenge is open to health care professionals, researchers, and scientists. The challenge is open to individuals and teams, however, only a single individual may be a Submitter. Submitters must be 18 years of age or older at the time their Entry is submitted. Teams must designate a Submitter on their behalf. Employees of the Sponsor and its subsidiaries, the immediate family members or household members of each, and persons involved in any part of the administration and execution of this Challenge are not eligible. This Challenge is void wherever prohibited by law. NO PURCHASE IS NECESSARY TO ENTER OR WIN. The Challenge will have two (2) rounds: a Qualifying Round and a Challenge Round. Submitters must correctly answer one (1) question about the SPRINT Data (from a selection of two (2) or more questions) to successfully complete the Qualifying Round in order to be eligible to enter the Challenge Round. Submitters that do not complete the Qualifying Round are not eligible for the Challenge Round. Before entering the Qualifying Round, you must first access the SPRINT Data according to the instructions set forth at the 'How to Enter' pages of the Challenge Website. The SPRINT Data will be available for access and download at the NIH National Heart, Lung, and Blood Institute (“NHLBI”) data repository through BioLINCC beginning November 1, 2016. The Qualifying Round will be open from November 15, 2016 until midnight Eastern Time (“ET”) on January 20, 2017 (“Qualifying Round Submission Deadline”). Instructions for entering the Qualifying Round are set forth at the 'How to Enter' pages of the Challenge Website. Submitters will be notified whether they have successfully completed the Qualifying Round at the e-mail address provided with their Entry before or within seven (7) days after their submission is received. The Challenge Round will be open from December 1, 2016 until midnight ET on February 14, 2017 (“Challenge Round Submission Deadline”). Instructions for entering the Challenge Round are set forth at the 'How to Enter' pages of the Challenge Website. All entries must be written in English. Entries for the Qualifying Round will not be accepted after the Qualifying Round Submission Deadline. Entries for the Challenge Round will not be accepted after the Challenge Round Submission Deadline. We reserve the right to change any Submission Deadline at any time in our sole discretion for any reason or for no reason. Entries that do not comply with the Official Rules for the Challenge will be disqualified. Whether a Submitter’s answer for the Qualifying Round is correct or not will be determined solely by Sponsor or its designee. Sponsor or its designee’s decision will be final and binding. Limit one (1) entry per Submitter. You are an individual submitting your own original idea. You are solely responsible for accessing and downloading the SPRINT Data. We are not, and nor is NHBLI or BioLINCC, responsible in any way if you are unable to obtain the SPRINT Data or if you experience difficulties or delays in obtaining the SPRINT Data, for any reason whatsoever. You are responsible for understanding your employer’s policies regarding your eligibility to participate in this Challenge. If you are participating in violation of your employer’s policies, you may be disqualified. Sponsor disclaims any and all liability or responsibility for disputes arising between an employee and their employer related to this matter and prizes will only be awarded in compliance with the employer’s policies. You will not violate any rights of the Sponsor or any third party, including, but not limited to, intellectual property rights such as copyright or trademark rights or trade secret rights. You are responsible for providing at your cost all equipment, software, mobile access, and Internet access necessary for you to participate in the Challenge. You will not post or submit any material that is inappropriate, offensive, profane, pornographic, racist, bigoted, harassing or intended to cause insult or suffering in others. You will not post or submit content that violates third party rights (such as copyright or other intellectual property or personal rights) or applicable laws. You will not copy or transfer any part of the Challenge Website. If your actions cause any losses to us, either directly or indirectly, you agree to pay all damages, losses and costs incurred as a result. This includes any claims brought against us by third parties as a result of your actions. You will not copy, broadcast, display, sell or transmit any of the copyrighted information on the Challenge Website. You will not “hack” or reverse engineer any of the software, applications or services running on the Challenge Website. You will not use the Challenge Website in the commission of any crime. You will not advertise, tell directly or imply indirectly to anyone that you are affiliated with or endorsed by the Sponsor or its publication. You also will not use any of our logos or trademarks without our written permission. You will not attempt to override any access controls or security measures on the Challenge Website. You agree that we may contact you about this Challenge via the email address supplied with your Entry. You will not interfere with or disrupt access to the Challenge Website. We may share this information with the Judges and our affiliates. We may display, reproduce, distribute, perform publicly, create derivatives from, and publicize this information freely in any manner or media, including but not limited to the Internet and print media. This license applies worldwide, in perpetuity and is irrevocable. You grant this license to us completely free of charge and without royalty now or in the future. Once you submit an Entry to the Challenge Website, the information you provide, such as, your name, team name, and the title of your Submission will become public for anyone on the Internet to view. After the Challenge Round Submission Deadline, the content of your Submission will be displayed at the Challenge Website. If you want us to delete your information after it has been posted, we will consider your request but we are under no obligation to grant your request. We have the sole and final discretion whether or not to delete your information. We will do our best to preserve the information, but any information you submit to us is at your own risk of loss and you relinquish any rights to damages or compensation in the event we lose your information. You represent and warrant that you are entitled to submit the information and that the information is accurate, not confidential, and not in violation of any contractual restrictions or other third party rights. We may, at our sole discretion, for any reason or for no reason, and at any time, remove your information, including but not limited to your user account, posts, and comments, from the Challenge Website. You acknowledge that you have no rights to seek any damages or any other compensation in the event that we delete your information. You understand and agree that you will receive no compensation for your Submission or for any other work in relation to this agreement. You agree to release us completely and in perpetuity from any liability to you for any damages, costs or expense direct or indirect, whether by our negligence, action or omission of action, that you may incur related to these Official Rules, your participation in the Challenge or your use of the Challenge Website. Where local law does not allow this, then you agree that our liability to you is limited to the lowest amount allowable by local law. The voting period for the Challenge Round, both by the judges and online voting, will begin on or around February 15, 2017 and will end at midnight ET on February 28, 2017 (“Voting Deadline”). We reserve the right to change the Voting Deadline at any time in our sole discretion. Judges will review all eligible entries received and vote for winners based on the criteria below. We have the sole and final authority to accept or reject Submissions. We reserve the right to reject any Submission for any reason or for no reason, and you shall have no recourse, legal or otherwise, if your Submission is rejected. We reserve the right to disqualify anyone from the Challenge for any reason or for no reason. You hereby relinquish your right to dispute our decision now and in perpetuity by any means including, but not limited to, legal action and injunctive relief. You also agree that you will not seek any damages from us or the Challenge arising from the results of the online voting, judging, or scoring of the Entries. The decisions of the Judges are final and binding. If we do not receive a sufficient number of eligible entries, we may, at our discretion, select fewer winners than described in these Challenge Rules. In the event of a tie between eligible entries, an additional judge selected by us in our sole discretion will break the tie based on the judging criteria above. You must be a Submitter to be eligible to receive a prize. The total ARV of this Package is $6,500.00. The total ARV of this Package is US $4,000.00. The total ARV of this Package is US $3,000.00. Actual value depends on date/time/destination and the difference between actual value and stated value will not be awarded. Prize winners are solely responsible for all costs and expenses incurred to attend the Event that are not specifically stated (including without limitation, costs and expenses for Visas and other travel documents, meals, and any transaction or currency conversion costs). If winner lives within 100 miles of travel destination, Sponsor reserves the right to provide alternative transportation. If the Event is cancelled for any reason, Sponsor shall have no further obligation to winners other than to provide the check and travel portions of the Prize, minus the opportunity to attend the Event. If you do not attend the Event, Sponsor shall have no further obligation to you other than to provide the check portion of the Prize, minus the travel portion. The ARV of all prizes is US $13,500.00. We will award only one (1) prize package per Submission. If you are a potential winner, we will notify you by sending a message to the email address, provided at the time of Entry within seven (7) days following completion of judging. If the notification we send is returned as undeliverable or you are unable to reach us for any reason, we may award to a runner-up. If there is a dispute as to who a potential winner is, we will consider the potential winner to be the authorized account holder of the email address used to enter the Challenge. Winners may be required to sign an Affidavit of Eligibility, Liability/Publicity Release and a W-9 tax form (or comparable form) within 30 days of notification and provide such information as Sponsor may reasonably require for processing prize awards. If you do not furnish the information requested or complete the required forms as instructed, and/or return the required forms within the time period listed on the winner notification message, we may disqualify you and select a runner-up. Prizes may not be exchanged for cash or other merchandise. However, if for any reason an advertised prize is unavailable, we reserve the right to substitute a prize of equal or greater value. You may not designate someone else as the winner. If you are unable or unwilling to accept your prize, we may award it to a runner-up. You will be solely responsible for all applicable taxes related to accepting a prize. If you are invited to attend the Event, you do so at your own risk. We are not responsible or liable for any losses or damages you incur as a result of your participation and attendance at the Event. Prize winners may be invited to present some or all of their Submission to Event attendees. Which portion or portions of a Submission may be presented at the Event is subject to Sponsor’s discretion. Sponsor is not obligated in any way to publish Submissions in any of Sponsor’s publications. You hereby authorize us to photograph, film, videotape, digitally record and/or sound record you at the Event. You hereby assign all rights in the resulting photographs, film, videotape, digital recordings and/or sound recordings (the “Content”) to us and authorize us to reproduce, distribute, display, commercialize, create derivatives from and/or perform said material, in hard-copy and electronic formats, for any purpose. You also authorize us to identify you by name and your likeness with the Content and your Submission. You hereby release us from any and all claims and demands arising out of or in connection with our use of the Content and your Submission, including without limitation claims for libel or invasion of privacy. You understand that you will receive no compensation in connection with the above. We do not guarantee that the Challenge Website will be available and accessible all the time. You agree that you have no right to any damages for any losses you incur directly or indirectly as a result of unavailability of the Challenge Website. We may, at our sole discretion, suspend your access to the Challenge Website for any reason or for no reason. You agree that you have no recourse and are entitled to no compensation or damages in this case. You acknowledge that we cannot guarantee that every user who wishes to vote for your Entry will be able to do so, nor can we guarantee that there will not be errors in the recording of votes and calculation of total scores. The ability of any user to vote for an Entry and the recording and calculation of votes and scores may be affected by site performance, site availability (i.e. downtime), software bugs, user error or other causes. You agree that we are not responsible for any instance of a user’s inability to vote or an error in recording or calculating votes or scores, regardless of the reason. You relinquish now and in perpetuity any and all rights you have to any damages, compensation, injunctive relief or other recourse in relation to a user’s inability to vote for your Entry or an error in recording or calculating votes or scores. If either of us have a dispute that we cannot resolve by mutual good-faith negotiation, we both agree that the Challenge and these Official Rules will be governed by the laws of the Commonwealth of Massachusetts and you consent to the exclusive venue and jurisdiction of the courts of the Commonwealth of Massachusetts in any legal dispute. The Official Rules and the materials referred to herein constitute the entire agreement between the Parties and supersede all previous agreements and understandings, whether oral or written, between the Parties with respect to the subject matter hereof. What If The Challenge Can’t Run As Planned? If someone cheats, or a virus, bug, catastrophic event, or any unforeseen or unexpected event that cannot be reasonably anticipated or controlled (Force Majeure) affects the integrity or fairness of this Challenge, we reserve the right to cancel, change, or suspend the Challenge, whether the event is due to human or technical error. If a solution cannot be found to restore the integrity, we reserve the right to select winners from among all eligible entries received before we had to cancel or suspend the Challenge. Sponsor shall not be liable for delays or failure to meet its obligations pursuant to this Agreement due to causes beyond the Sponsor’s reasonable control. We will post the names of the winners online at the Challenge Website. This list will remain posted one month after the Event. Who Is Sponsoring This Challenge? The NHLBI and BioLINCC are not affiliated with this Challenge.